There are few things that feel better under your feet than a clean carpet. Unfortunately, no matter how well you take care of them, all carpets get dirty eventually. Dirt, allergens, and bacteria all make their way into the carpet over time, and no amount of vacuuming can get them all out. The more traffic on the carpets, the quicker this happens. Chad’s Carpet Cleaning gives you a way to get your carpets back the way you want them to be – clean, fresh, and like new. The focus of our company has always been on providing the best possible service we can, so you can always depend on us to take great care of your carpets and your home. The dirt and other contaminants in your carpets can cause them to wear out prematurely, especially in areas where there is a lot of traffic. The more steps that are taken over the soiled areas, the more friction is created and the more wear that occurs. Your carpets and rugs are an investment and a necessary component of your home. Replacement can be expensive, and is usually unnecessary. With professional carpet cleaning, you can save money and extend the life of your carpets considerably. The same qualities that make carpet enjoyable to walk on – its porousness, the padding underneath – also cause the carpet to act like a sponge. Airborne contaminants like allergens and dust get trapped in the carpet over time. Liquids that are spilled on the carpet soak through into the sponge, including pet urine. It can be virtually impossible to remove these contaminants without a professional cleaning. At Chad’s Carpet Cleaning, we offer comprehensive professional carpet cleaning services. No matter what type of carpet or rug you need cleaned, or what type of stains you are dealing with, we know how to get the best possible results. From the lowest pile to shag carpeting, we can help. Our professional carpet cleaning service will remove as much dirt and contaminants as possible, leaving you with clean, comfortable carpeting throughout your entire house. We also specialize in cleaning area rugs. We understand how valuable rugs can be, so we clean each rug carefully to avoid damage. We all love our pets, but they can make carpets surprisingly dirty in a short amount of time – especially if they have an accident. Our professional carpet cleaning service can remove most pet stains completely, eliminating both odors and bacteria. We like to leave your carpets better than we found them. Beyond just cleaning, we can add Teflon carpet protection that will help prevent future stains. 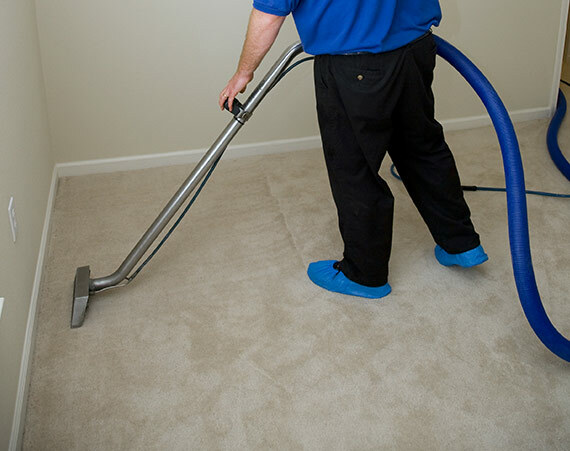 We know you have options when it comes to choosing a professional carpet cleaning service. At Chad’s Carpet Cleaning, we set ourselves apart through our friendly, knowledgeable service. When you come to us with a question or a problem, we will use our knowledge, experience and skills to offer you the best solution. We are not interested in up-selling you services and products you don’t need. We only want to solve your problem the best way we know how. If you are interested in carpet cleaning or nay of our services, please contact us now. Let us help you get your carpets looking new again!